Diffuser manufacturer supplier in UAE. Circular diffusers are designed for application in HVAC Field, The construction of the circular diffuser by aluminum sheets. It's employed to supply and return the air from the ambient and acceptable Noise level. Inner cores are fixed rigidly by hollow pipe and round frame fitted with butterfly damper by rivets. The circular diffusers are available in various standard sizes are 150 mm, 200 mm, 250 mm, 300 mm, and 350 mm respectively. 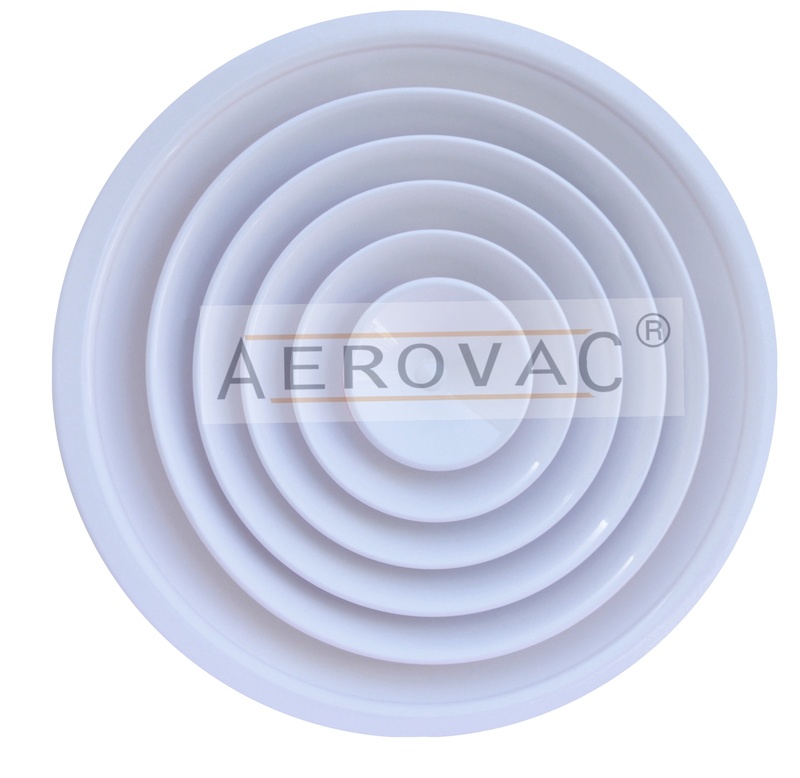 These Diffusers can be used for the ceiling for exposed ducts for supply or exhaust air applications.